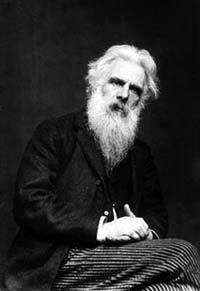 Eadweard Muybridge was an English photographer during the late 19th century. He is widely recognized for his pioneering work in photography motion which predated the evolvement of the film camera. He also involved himself in animation and the projection of still images to give the illusion of a realistic movement. This changed the perception and how other artists portrayed movement, more so the galloping horse. He made images using multiple cameras in 1872 that showed horse gallops. This great accomplishment has since then been referred to as feat of industrial will. Eadweard was born in Kingston, Surrey, in England in 1830. His name, Eadweard, is the Saxon spelling of the name Edward, which is why he adopted that spelling. As a young man, he immigrated to the United States where he became a bookseller in San Francisco. Muybridge had no plans of becoming a photographer at this time, let alone becoming a pioneer of motion pictures. In 1860, while travelling back to England on a buying trip for his books, Muybridge encountered a near fatal accident that seriously injured his head. The accident, which occurred in Texas, injured all the passengers of the stage coach in which he was riding. He was forced to return back to England in order to recover. He suffered from double vision, sensory impairments, and confused thinking during this recovery period. The recovery allowed Muybridge to enter a new and more creative phase of his life. He took up photography in England after he got better and became a highly proficient photographer. When he returned to San Francisco seven years after he left the U.S., he was not a bookseller, but rather a professional photographer. This was the beginning of his successful career in the industry. Muybridge was married to Flora Stone, a woman who was more than 20 years younger than him. In 1874, he found out that there was a possibility that one of her friends may be the father of the baby they had together. Eadweard tracked down the friend and fatally shot him at point-blank range. His attorney said the reason he committed the murder was due to insanity, which was the direct result of the accident he had several years earlier. He was acquitted of the charges, but the jury decided to acquit based on the grounds of “justifiable homicide” rather than the insanity plea. His early career in photography was highly successful. He took photographs of the landscapes in western America, including the areas around the Yosemite Valley. He captured pictures of a wide range of scenery. He also mastered various techniques and technologies of his time to make photographs better. One of Muybridge’s greatest contributions to the field of photography was his invention of the zoopraxiscope. This was basically one of the first movie projectors and it helped set the stage for further cinematography. It utilized a disc and silhouetted photos would be placed on the disc and then spun inside the machine to make it look like the pictures were actually moving. On a visit to England, Muybridge exhibited his photographs, along with the zoopraxiscope, at a lecture in 1882. In attendance were several members of the Royal Family, including King Edward VII and others. Eadweard Muybridge moved back to England in 1894 where he spent the rest of his photography career perfecting his technique of capturing animals and human beings’ progressive movements, writing, and lecturing. He died in 1904 in Kingston.